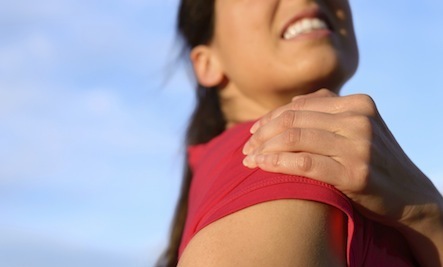 Tenderness or pain of the joints is one of the most common symptoms among patients with RA. Sometimes, other disorders can cause such pain. But if you find both your hands and wrists hurting, it is most likely to be rheumatoid arthritis, which tends to have a symmetrical� pattern. The Arthritis Foundation reports that up to 98 percent of those who suffer from rheumatoid arthritis experience fatigue. Sarah Hewlett, PhD, senior lecturer in Rheumatology Health Professions at the University of Bristol in England, says patients of rheumatoid arthritis describe fatigue as “severe weariness and dramatic and overwhelming exhaustion.�” This happens because the joints have inflammation and need to work harder to get you through the day. Sleep is also disrupted, and you might wake up not feeling refreshed. If all of this sounds like you, it might be time to see a specialist. Time for that blood test.. my body has been screaming!!!! I have RA and Humira is VERY EXPENSIVE. I have been on it for 12 years. I am grateful to it that I am not all crippled. My heart is with everyone dealing with autoimmune diseases. This sounds a lot like me. I have arthritis but never tested positive or Rheumatoid. I have crooked thumbs, large nodules on the finger joints, sleep problems, fatigue and more. My sister has Rheumatoid and has to get infusions. Very expensive, luckily her insurance pays for them. Oh, no, I have it! I don't look forward to getting it.